“When will I need a facelift?” is a common question, but it doesn’t have a simple answer. Facial aging isn’t uniform, and people age at different rates. Your genetics combined with how you live your life and care for your skin are reflected in the aging of your skin. So the answer ultimately is: the best age to have a facelift or a facial rejuvenation procedure is when you no longer feel confident in your appearance. There is no right or wrong age to undergo facial enhancement; it just depends on when it’s right for you. Dr. Kao offers a variety of procedures that can be tailored to all age groups and that address the multitude of facial aging issues and congenital facial issues. You may begin to see aging in your face as early as the end of your 20s and into your 30s. However, these signs of aging are typically in the form of wrinkle development around the eyes and mouth. Most patients this young don’t need to consider surgical correction. Facial injectables such as BOTOX® Cosmetic and JUVÉDERM® can provide patients with temporary improvements to their fine lines and wrinkles. There is also a subset of patients in this age range that have issues that don’t have to do with aging, patients who are not bothered by wrinkles or lines but by the shape of their face. These issues may include naturally droopy jowls, droopy cheeks, hollow eyes, sad-looking eyes, and low or flat brows. Dr. Kao’s Ponytail Lift™ is actually a facial beautification procedure that can correct a lot of these issues with two tiny incisions on each side of the scalp. The eyes can be refreshed, the brows can be rotated, and the jawline can become crisp with this revolutionary transforming procedure. By the time your 30s come to a close and you advance into your 40s, you may start to notice more aggressive signs of aging. The brows begin to drop, eyelids become heavy, volume loss develops in the cheeks, and jowls begin to form. 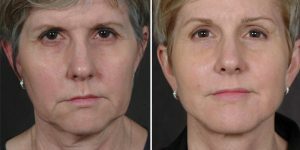 Dr. Kao implements an endoscopic jowl lift to counteract this premature facial droop, and this procedure doesn’t leave any visible scarring and treats the muscle weakening and sagging fascia. If you are beginning to notice volume loss throughout the face, volume can be restored by Dr. Kao’s tailored facial detailing treatment. Facial detailing utilizes regenerative cells harvested from patient fat, which are broken down into a highly concentrated yet fine consistency. These regenerative cells are injected throughout the face to fill fine lines, smooth wrinkles, and restore areas that have lost volume. The combination of the Ponytail Lift™ and facial detailing is a powerful procedure that can restore and rejuvenate the beauty of the face without noticeable incisions. There is no exact year when anyone can say you’ll need a facial rejuvenation procedure. Genetics, lifestyle choices, and the environment will all affect your rate of facial aging. Some patients will require more thorough correction in their 40s, while others won’t begin to notice major problems until their late 50s and 60s. Additionally, facial aging isn’t uniform, and signs of aging aren’t standard. You may notice wrinkles across the forehead or that your brows have become heavy. Sagging lids may obscure your eyes, or you may be losing youthful, attractive volume. Aging can be localized to just the jawline and neck, or it can be all over. Because of this non-uniformity, Dr. Kao developed his Ponytail Lift™ and Ponytail Facelift™ process. The Ponytail Lift™ addresses the upper two-thirds of the face and refreshes your natural beauty. The Masai Neck Corset with the Ponytail Lift™ (known together as the Ponytail Facelift™) targets the whole face and neck to transform your look for a more beautiful and youthful appearance. The Ponytail Facelift™ allows for maximum redraping of the neck skin, tightening of the neck tissues, and redefining the jawline, all with the smallest incision possible that would never distort the hairline or ear anatomy. 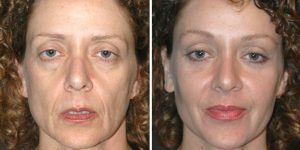 All of these techniques can also use regenerative cells to restore attractive fullness to the face. If you are unhappy with the visible signs of aging that have begun to occur, schedule your consultation with Dr. Kao to see which facial treatment is right for you. You can call our office at (310) 315.9211 or contact us online.